njpaipcom, Author at New Jersey Non Standard Insurance. Insurance for high risk PROPERTY available through independent agents that specialize in extreme high risk industries in the states of AL-DE-FL-IL-IN-KS-MD-MO-NC–NE-NJ-OH-OR-PA-SC-SD-TX & WI (856) 863-5654. From high risk coastal areas to policies that have lapsed for whatever reason. Or has your property had several claims and now you’re being refused coverage from the big brand name insurance companies? Apply for help obtaining insurance for industries that are considered high risk, a licensed insurance agent will assist you with finding coverage. Service is available currently in the states of New Jersey, Delaware, Pennsylvania, New York, Ohio, Alabama, Maryland, Nebraska, North Carolina, Oregon, South Dakota, Texas, Virginia, West Virginia, Wisconsin and South Carolina. Get high risk industrial industries free help request submitted real easy with our quick form below (856) 863-5654. By contract ARIS provides help in up to 23 states for consumers needing high risk type insurance coverage. This entry was posted in Uncategorized and tagged high risk commercial property insurance, high risk personal property insurance on September 8, 2014 by njpaipcom. 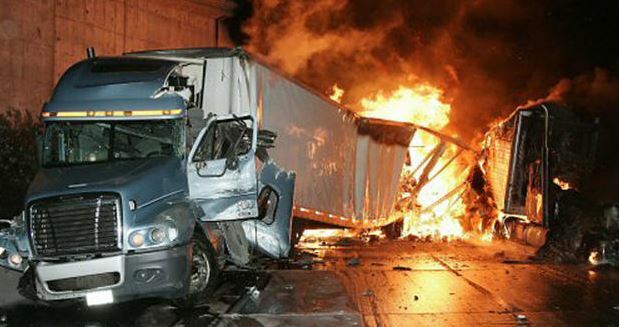 High Risk Commercial Truck Insurance Help Online! High risk truck, bus and commercial auto insurance in FL-GA-IA-IN-KS-MD-NC-NE-NJ-OH-PA-SC-VA (888) 287-3449. Liability and cargo insurance forms must be submitted directly (online) by the home office of the insurance company furnishing the coverage. 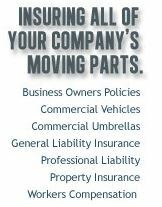 Get A High Risk Commercial Truck Insurance Quote! The FMCSA does not furnish copies of insurance forms. Freight:–$750,000 – $5,000,000, depending on commodities transported; $300,000 for non-hazardous freight moved only in vehicles weighing under 10,001 lbs. Passengers:–$5,000,000; $1,500,000 for registrants operating only vehicles with seating capacity of 15 or fewer passengers. Applicants are cautioned to ensure that the name and address of the business as set out in all pre-registration filings match exactly the name and address provided in their Form OP-1 filings. Any deviation will result in rejection of the supplemental pre-registration filings. Apply for help obtaining insurance for industries that are considered high risk, a licensed insurance agent will assist you with finding coverage. 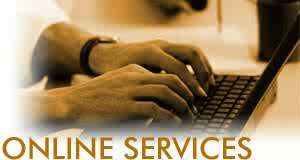 Service is available currently in the states of New Jersey, Florida, Georgia, Pennsylvania, Ohio, Maryland, Nebraska, North Carolina, Virginia and South Carolina. This entry was posted in Uncategorized and tagged high risk commercial auto insurance, High Risk Commercial Truck Insurance, high risk truck insurance on July 8, 2014 by njpaipcom. Online help arrives for Pennsylvania high risk car insurance customers! PA High Risk Auto Quote. This entry was posted in Uncategorized and tagged Pennsylvania high risk car insurance on July 7, 2014 by njpaipcom. Non standard or high risk auto insurance not just for troubled drivers. Many people think that a non standard or high risk auto insurance policy is for less desirable drivers. All across the country from New Jersey to California more and more people have a few violations that raise car insurance rates by a few hundred or a few thousand dollars when they are insured by regular market companies. The truth is Property and Casualty Insurance Companies are making profit so fast that they just price you right out of wanting to pay to stay with them. Even if the industry can afford over $4 Billion in advertising to tell everyone how cheap they are and that everyone should switch, switch and switch again, where does this leave a driver with a DUI/DWI, a few accidents or moving violations? It leaves them having to seek what is called a non-standard or assigned risk policy that are sometimes mandated by the state government. It does not mean that they are bad people, it just means that they have had a run of bad luck and need coverage until the other companies want them back again. Get help from New Jersey licensed companies that understand when you have a few points, a DUI or accidents. Request a no obligation NJPAIP auto insurance quote below. Reqest a no-obligation rate quote below. Vehicle 2: Year| Make| Model-Add VIN for most accurate quote (optional). Vehicle 3: Year| Make| Model-Add VIN for most accurate quote (optional). Vehicle 4: Year| Make| Model-Add VIN for most accurate quote (optional). Enter Your Drivers License # Below:If no drivers license # entered your quote will be based on the information/points etc that you supply. Additional Drivers or Details: Driver Name; D.O.B; Male or Female; License # and any additonal Information. This entry was posted in Uncategorized and tagged auto insurers spend $4 billion advertising, no switching policies for high risk drivers, non standard auto insurance on April 22, 2014 by njpaipcom. Saving money on your auto insurance shouldn’t be difficult. All that you need is a little information and an experienced car insurance brokers help. Check out this exciting video that will give you some great ideas and help you save on auto insurance today. Get non standard auto insurance help started right now with our quick online quote form. This entry was posted in Uncategorized and tagged Five ways to save on car insurance-iii, Foremost non standard auto insurance, NJPAIP, non standard auto insurance help, Progressive Assigned Risk Auto Insurance on April 22, 2014 by njpaipcom. All about auto insurance NJ coverage. All about auto insurance coverage video, the more you know the better you’ll be protected! Call if you need help (856) 352-2101. This entry was posted in Uncategorized and tagged auto insurance educational video from iii, learn NJ auto insurance on April 22, 2014 by njpaipcom. An automotive monopolist’s worst nightmare. Two big Silicon Valley companies are busy disrupting state-sponsored transportation monopolies. Uber is competing with locally regulated taxi companies, and Tesla wants to sell its electric cars directly to the public instead of through state-protected dealerships. Different issues arise in each case, but because competition is a good thing, both of these disrupters deserve to succeed. Most states have laws that prevent auto manufacturers from selling straight to consumers, but Tesla has been sidestepping the rules by setting up showrooms that let consumers place orders over the Internet. The dealers don’t care much about Tesla — its share of the market is tiny — but they’re scared stiff that bigger producers will follow its example. So they should be. This entry was posted in Uncategorized on April 22, 2014 by njpaipcom. Looking for Pennsylvania non standard auto insurance or High Risk Insurance in the state of Pennsylvania? Call us for help (856) 863-5654. Our non standard or high risk insurance specialists have access to non standard car insurance quotes from high risk auto insurance companies that may offer you a policy even if you have had a DUI/DWI, have been ticketed for driving while suspended, or have had a bad run of luck with speeding tickets or accidents. If you have had a DUI, you are automatically considered a high risk truck insurance customer. This holds true even with a pretty clean record otherwise. You can get a safe driver status over time, but a conviction of DUI can last up to a decade or more and this depends on the state you live in. Sometimes it stays a with you longer than that. By contract ARIS provides help for consumers needing high risk type insurance coverage. This entry was posted in Uncategorized and tagged PA high risk auto insurance, PA high risk auto phone number, Pennsylvania on April 16, 2014 by njpaipcom.